1. your restoration estimate will be sent to you within 48 hours. 2. Once the estimate is accepted, your photograph will be passed forward via email. If you have remarks or if you want to modify anything, the changes will be made without any additional cost until validation. 4. 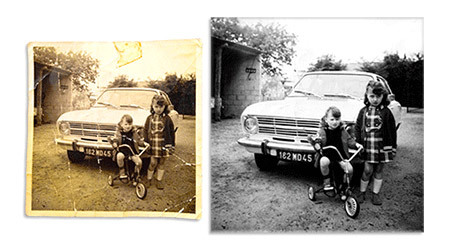 The restored photo prints and high definition email sending, will be dispatched upon payment reception. 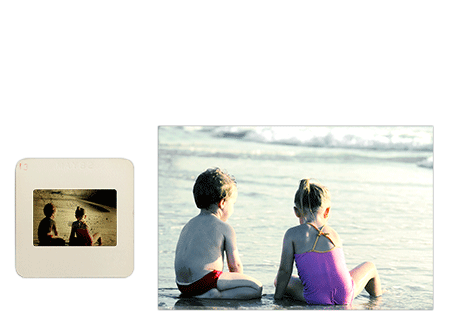 The photograph printing rates are available on the photograph restoration page.. The colorisation rate will be evaluated according to the working time on your photograph(s). If you want colorisation, please state it down bellow. Depending on the size of the pictures, the upload may take several time. Please wait while loading. You can add pictures by clicking on "add another photo." Want a slide restoration quote? Phenix Photos also offers a complete catering estimate of your slides! a low definition picture won’t work for a good quality printing of the restored photograph. The scanned file must be as large as possible, ideally 600 dpi. You need help to scan your photograph? Read our advice about it.